Jean Paul Getty, more popularly known as J Paul Getty was the founder of the Getty Oil Company and also an American industrialist. In the year 1957, the infamous Fortune Magazine named this hard working and dedicated man the richest living American. Getty’s quotes were extremely popular amongst other private businessmen and they still continue to be. 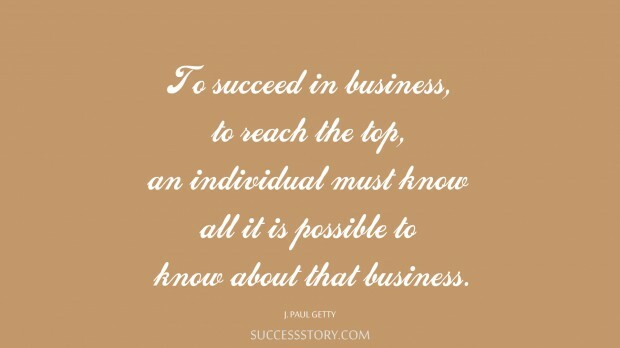 "To succeed in business, to reach the top, an individual must know all it is possible to know about that business"